My first app for Oculus 2 DK2. Took me a while to figure this out but it basically just does a 3D effect where the walls are color morphing. 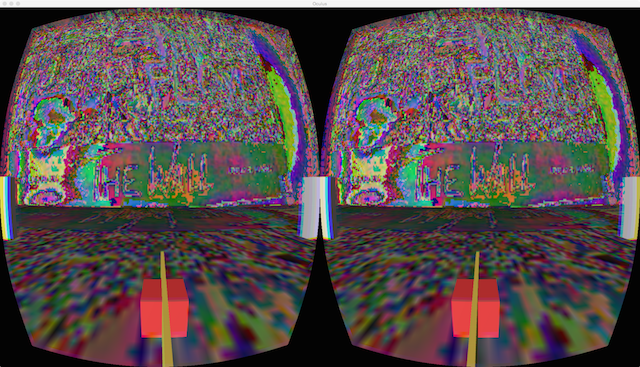 Works with the head tracker and you can look around at this distorted virtual world. Be careful if your not used to this kind of stuff it could make you a little sick.